KXL pipeline opponents demonstrate outside the Washington, DC offices of Environmental Resources Management. ERM issued a report supporting the KXL pipeline that pipeline opponents say is deeply flawed. (7/26/13) Over 50 protesters were arrested for peacefully occupying the ERM offices. 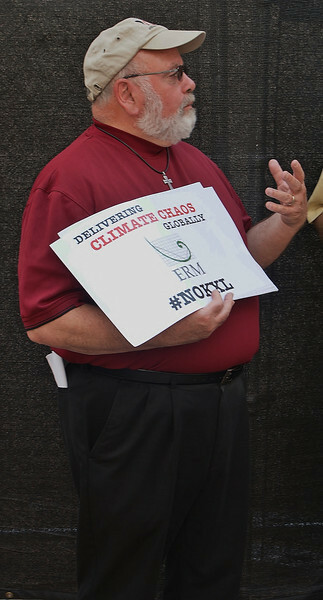 Clergyman wearing cross gestures while speaking, holding sign agaibst KXL pipeline.